Walking into RL Ray Violin Shop is a stimulating experience. 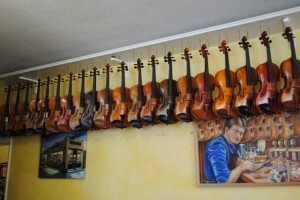 Walls of violins and bows fill the room. Comfortable lounging chairs are available to relax in while taking in the view of a busy workshop where craftsman are working tirelessly to build and repair instruments. 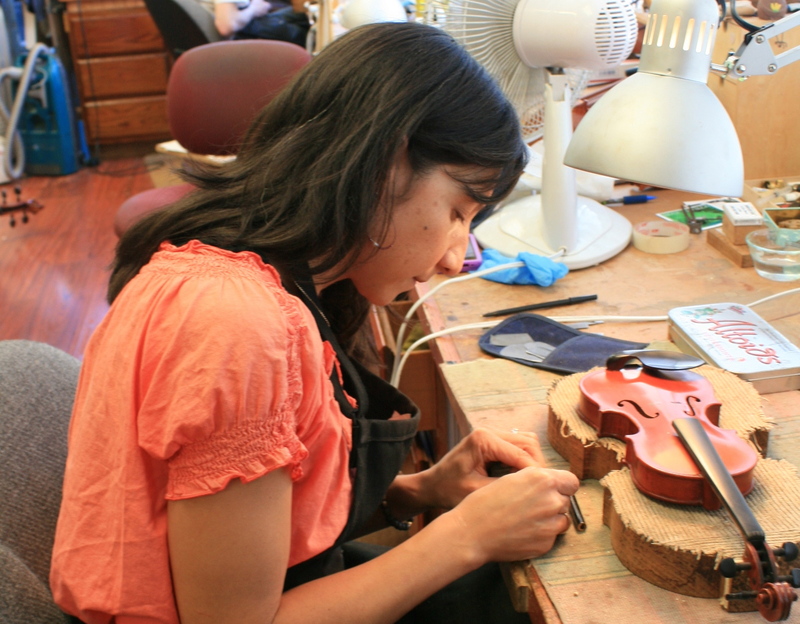 Their repairs are similar to heart surgery as they meticulously mend the wounds of the instrument to revive it to its original glory. 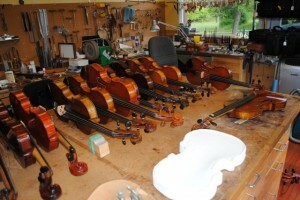 Violins await restoration in the busy workshop. Travel became a necessity of the job. He moved to Los Angeles and left his family behind to go to a shop where he could advance his skills further. 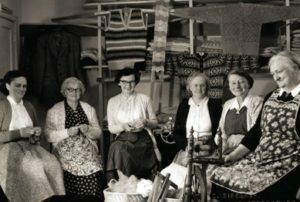 Other than the occasional visit from his family, Ray spent most of his time in the shop. Here he began making creations for high end clients and honing in on his craft. He even took an opportunity to adventure to France just to focus on bow making. Violins intermingle with art on the walls of the R L Ray Violin Shop in downtown Olympia. 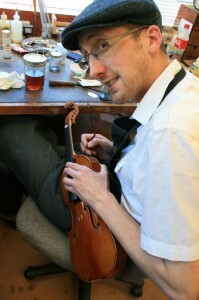 Within the R L Ray Violin Shop, crafts people refurbish and repair instruments. 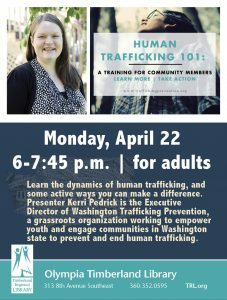 Hours: Tuesday – Friday (12pm – 6pm) and Saturday (10am – 5pm). 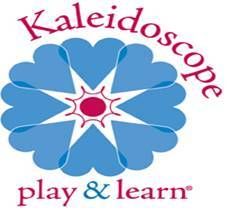 Services: rentals, consignments, trade-ins, evaluations, accessories, cases, strings, and appraisals. Previous articleShipwreck Beads In Lacey Is Calling all Crafters!